“Literature cannot be the business of a woman’s life” England’s poet Laureate Robert Southey’s response when a 20-year-old Charlotte Brontë sent him a collection of her poems was typical of his times reflecting the rules of Patriarchy. According to the Patriarchal view, jobs that demanded great physical strength and accomplishment needing intellectual prowess were beyond the reach of women. Negga’s early heroes were bold, inventive pop stars. She had a crush on David Bowie in Labyrinth and adored Kate Bush – she spent hours trying to recreate the video for Wuthering Heights, in which Bush does a heavily choreographed, solo dance routine, widening her eyes, and raising her arms. 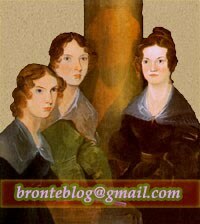 Girl with her Head in a Book reviews favourably Charlotte Brontë Revisited by Sophie Franklin. The Eyre Guide explores the Jane Eyre-Bertha Mason connection. Ten Jane Eyre Quotes For Those With a Fierce Spirit on Bookstr.